Prince Albert, Sask. 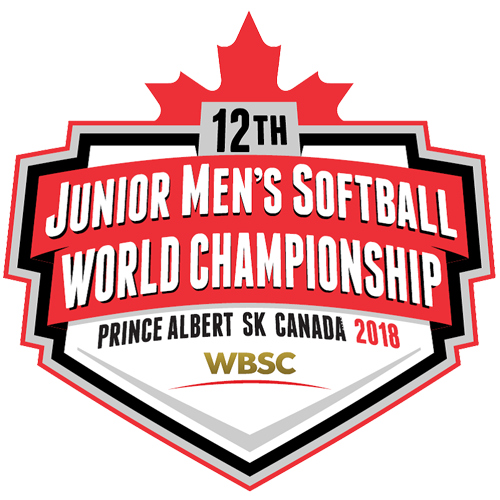 – The Canadian Junior Men’s National Team is ready to compete at the WBSC Softball World Championship which is set to take place July 7-15 in Prince Albert, Sask. The team completed a series of games against Saskatoon Amateur Softball Association (SASA) competition throughout Saskatchewan and an exhibition doubleheader against Japan on Thursday night. The WBSC Junior Men’s Softball World Championship will feature a total of 13 teams divided in two groups. The top four teams from each division will advance to the Championship round, with the top two from each division earning double life. The group for Team Canada (2nd in WBSC World Rankings) includes New Zealand (1st), the United States (6th), the Czech Republic (7th), Guatemala (15th) and Hong Kong (17th). At the previous WBSC Junior Men’s World Championship held in Midland, Mich. in 2016, Team Canada returned to the podium for the first time since 2008 with a Bronze medal finish. Three members from that team will be competing in this year’s tournament: Robbie Black (Glencoe, Ont. ), Isaac Lefebvre (St-Leonard-d’Aston, Que.) and Cole Pavey (Glencoe, Ont.). Team Canada opens the tournament with a matchup against the United States at 7:30pm CST on Saturday, July 7. Logan Tolton (Clifford, Ont.) suffered an injury in a pre-tournament game that will keep him out of action for the duration of the World Championship. The coaching staff has added Mac Mulvey (Wingham, Ont.) to replace him on the roster. Head Coach Jeff Ellsworth St. Lawrence, P.E.I. Assistant Coach Jean-Yves Doucet St-Léonard-d'Aston, Que. Assistant Coach Todd McCulloch Martensville, Sask. Assistant Coach Mark Quinn Cardigan, P.E.I. Athletic Therapist Mark Kiervin Saint-Jean, N.B. Team Leader Scott Searle Ottawa, Ont. Manager Mike Branchaud Ottawa, Ont. Live scoring will be available through the WBSC Junior Men’s Softball World Championship website, with live streaming featuring Ballpark Broadcasting available through the WBSC YouTube Channel.